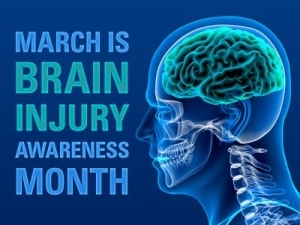 March is Brain Injury Awareness Month and I know someone who has a brain injury. I wanted to share with you the new book out Miracle Mindset: A Mother, Her Son and Life’s Hardest Lessons by JJ Virgin. Celebrity health expert and four-time New York Times bestselling author, JJ Virgin reveals how one life-altering event taught her to tap into an indomitable mindset, trust her instincts, and defy the odds, ultimately saving her son’s life…and her own. She’ll share the lessons she learned that can help you create your own resilient mindset. In 2012, JJ Virgin was in a hospital room next to her sixteen-year-old son who was struck by a hit-and-run driver and left for dead. She was told by doctors that he wouldn’t last through the night and to let him go. With every reason to give up, JJ chose instead to invest her energy in the hope that her son would not just survive, but thrive. In Miracle Mindset, she shares the lessons that gave her the courage to overcome the worst moment of her life. During this difficult time, she learned valuable personal lessons that helped her rebuild her life and find success and purpose in herself, her work, and teach her sons and community how to face their own obstacles and trials. Lessons like “Don’t Wish It Were Easier, Make Yourself Stronger” and “Your Limitations will Become Your Life” will lead you to your own personal power and purpose, even when the deck seems stacked against you. With true stories from her life, her clients, and other well-known thought leaders, she can help you transform your mindset and your daily habits to endure the difficult battles that life sends your way. 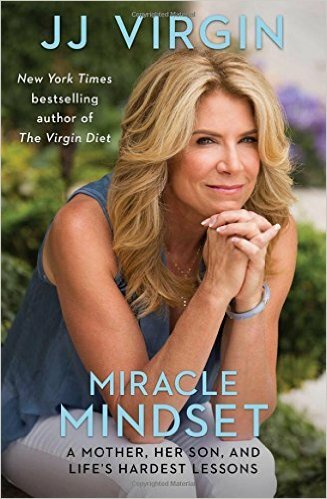 Insightful, personal, and completely relatable, Miracle Mindset proves that miracles are possible when you show up, remain positive, and do the work. My Opinion: I found this book leaving me with hope and thinking positive thoughts. It went through miracles, not giving up hope or faith to seeing what her son overcame and what difficulties lie ahead and what he is now able to do. It touched my heart in so many ways I can’t explain it. I learned that "Your body is not a bank account. It’s a chemistry lab" which I totally agree with!! With the right body chemistry going on inside you can live a happier healthier life!! I learned that she sells some amazing looking protein bars tat look like snacks!!! Deelish!! I learned she's been featured on The Dr. OZ show! I learned she has also been feature on "The Doctors"